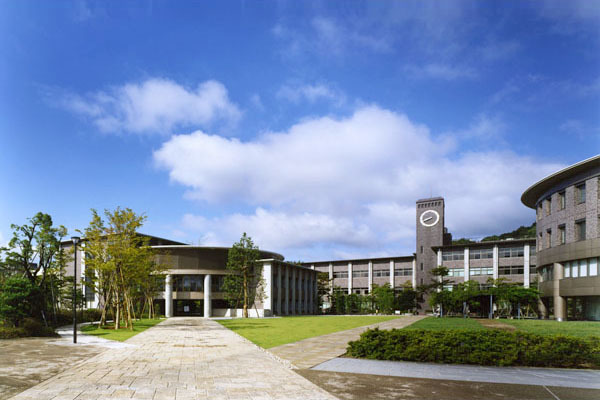 Ritsumeikan University College of Image Arts and Sciences | PROJECT | YAMASHITA SEKKEI INC. 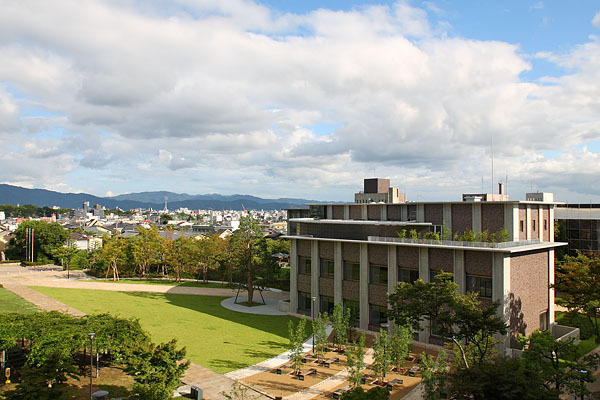 The facility is located in the Kinugasa Campus Central Plaza, which was cleared and landscaped in 2001 as an amenity space. In redesigning the plaza functions and appearance, we aimed for a texture and form that harmonize with the surroundings including adjacent buildings. 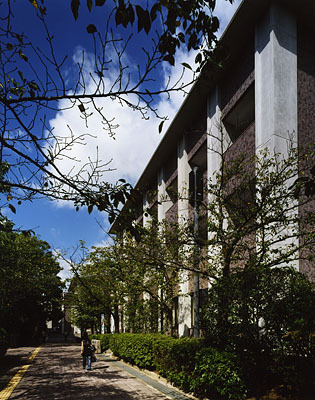 Various eco-design measures have been adopted, including rooftop greenery and the use of cool/heat tube systems, taking effective advantage of the naturally lit dry area. The dry area is part of the floor constructed below ground level to give the building a more compact profile.